Bubble wrap is most often formed from polyethylene (LDPE) film, with a shaped-side bonded to a flat side to form air bubbles. It is a flexible transparent plastic material used for packing fragile items. Regularly spaced, protruding air-filled hemispheres (bubbles) provide cushioning for fragile items. 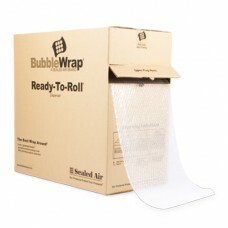 Bubble Wraps play an important role in protecting your valuable cargo during shipping. The air-filled bubbles are designed to cushion an item from force.